When you're just getting started in the reselling market, a common question that arises from our customers is how to sell metalworking equipment in Ohio. Because Ohio has such a strong iron and steel industry when it's time to sell used metalworking equipment Ohio business owners are often looking for companies to take care of the process for them. 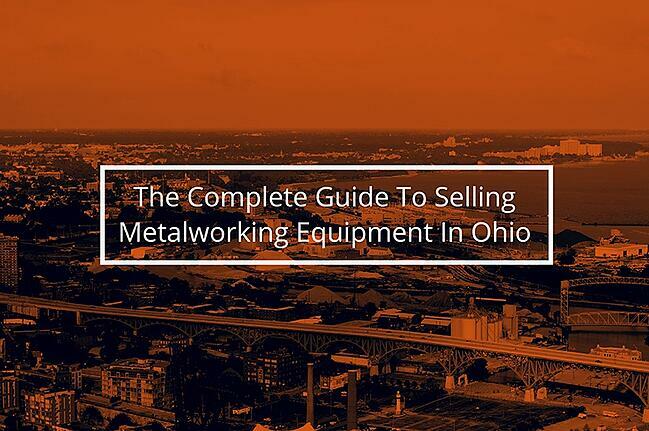 Here's an overview of the state of the market in Ohio and why it's a great time to invest in your own business selling used metalworking equipment in Ohio. What is Manufactured in Ohio? 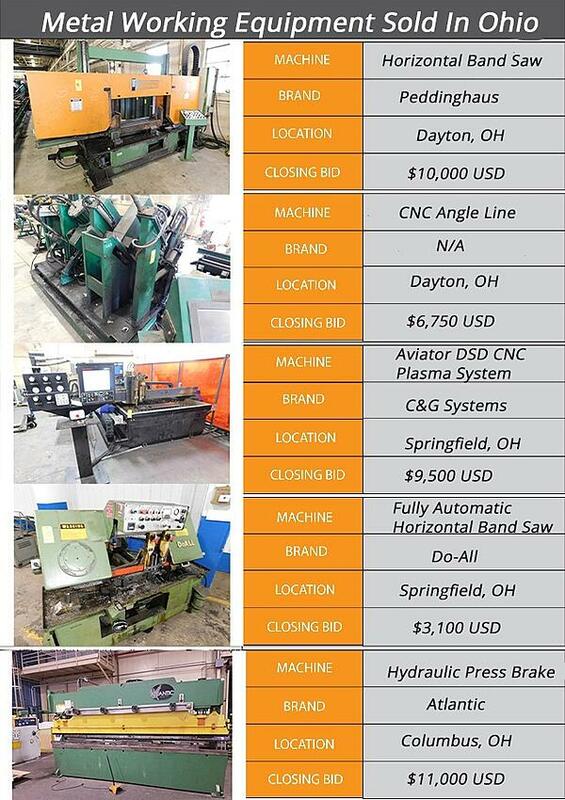 Who is Buying Metalworking Equipment in Ohio? What is the Current Economic Outlook in Ohio's Metalworking Industry? When it comes to what's manufactured in Ohio from metals, the real question is what isn't manufactured! As the historical center of steel production in the United States, Ohio is home to Columbus Castings, the largest steel foundry in the United States. 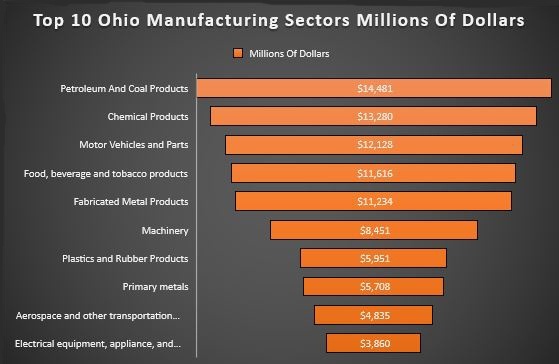 It's also home to a strong portion of the auto industry, including many parts manufacturers, such as Sanoh America, Miba and Amtex leading the pack and adding serious value to Ohio's state revenues and employment statistics. Ohio is also home to three Fortune-500 steel and iron companies, including AK Steel, Timken Company and Worthington Industries, in addition to major players Severstal, Mittal Steel, US Steel and many more. Manufacturing accounts for 17% of the state's GDP and strongly contributes to Ohioans' quality of life. The manufacturing industry is responsible for over 600,000 jobs in the state, totaling an annual payroll exceeding $33 billion, while contributing $46 billion in products to over 216 countries and territories. At the same time, Ohio ranks first in new site selection in the entire United States, creating a high level of demand for metalworking equipment that quite often exceeds the capabilities of new machinery manufacturers to meet. This creates a perfect storm waiting to be filled by used metalworking equipment. The business economy in Ohio is booming. A recent survey found that an astonishing 96% of business owners were very optimistic or somewhat optimistic about their company's economic outlook for this year, with 66% of SMEs expecting increased sales this year while 40% planned on increasing employee wages in the next six months. At the same time, the World Machine Tool Survey found that US machine tool consumption increased by 6.8% from 2016 to 2017. These are strong indicators of a powerful, dynamic economy that is ready to take off and provide strong success for those willing to work towards their goals. But what does that mean for manufacturing in the state of Ohio and its impact on the used metalworking equipment market in the state? When the economy is strong, and confidence is high, business owners tend to invest in their businesses. This means that demand for manufactured goods will increase as companies rise to the occasion of increased demand while repairs and replacements of under-performing equipment that was put off during the recession will finally take place. Manufacturers, machine shops, construction: all these industries are expected to invest strongly in high-quality used metalworking equipment in Ohio. This creates strong competition in the market for the same amount of machinery being produced, which in turn drives stronger demand in the used machinery market for metalworking equipment, making it an excellent time to invest in a business trading metalworking machinery. At the same time, a limited labor market demands that those who may use metalworking equipment for their operation must upgrade to keep up with demand. The outlook for the metalworking industry is excellent. Companies in neighboring states have been seeing compound annual growth rates of 10% over the past several years, with expectations for more of the same through the end of 2018 and into 2019. Currently, there's no anticipated downturn in sight, though the amount of growth is strongly dependent on the sub-industry being catered to. Though metalworking shops catering to oil and gas are seeing growth, it's not as strong as it was a few was a few years ago, while construction, aerospace and heavy industrial metalworking sub-sectors are seeing much higher rates of growth. For companies that are willing to remain flexible in the industries that they serve, growth could almost be expected rather than simply hoped and dreamed of. Cleveland continues to lead the state's steel production due to its traditional focus on the industry and strategic location for shipping and business travel combined with low costs of doing business and stable, preexistent infrastructure, through Canton leads a close second. It may even be argued that President Trump's fervent promises on the campaign trail to failing Rust Belt companies may have been aimed directly at metalworking industries in areas of Ohio which have flourished under beneficial business conditions during his administration, with cities such as Cleveland going from prosperity to poverty and back to times of prosperity once again. With many years of anticipated continued growth in metalworking and its many related industries, it's expected that there will be any number of opportunities available to dedicated entrepreneurs who are interested in dealing with used metalworking equipment in Ohio. Much like other parts of the country and other industries that are digitizing, metal fabrication includes increased reliance on the Internet of Things and analytics to predict machine performance and failure, allowing the upselling of high-quality used equipment with these capabilities. Why? With past and current difficulty in finding skilled labor during times of strong economic growth, these features help to reduce the dependence on human labor in a business, making it easier to be successful even when finding the right employees proves difficult. 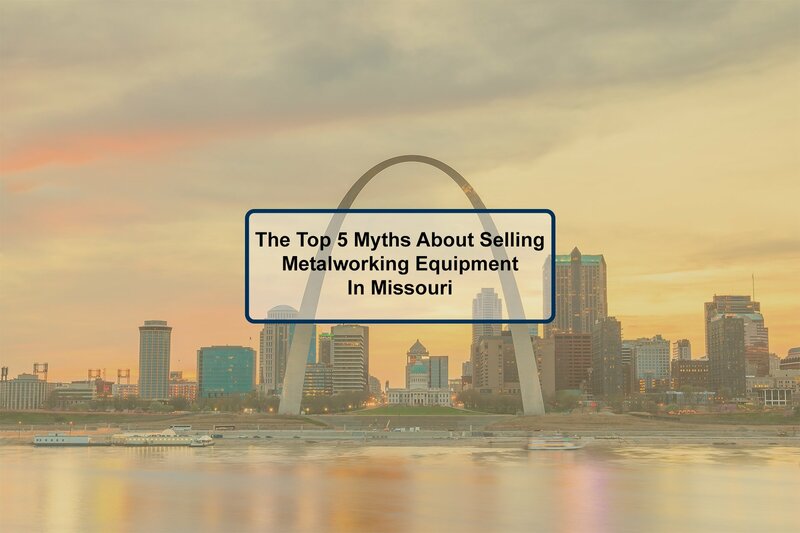 However, these features are not the only thing that will sell equipment, so don't think that you need only look at the absolute newest technology to sell metalworking equipment in Ohio. As with any industry, businesses that are going through growth will invest in newer machinery. Even if it's not fully digitized, machines that quickly provide a strong return on investment through reduced labor costs, improved overhead percentages and similar cost savings and efficiencies. As used equipment comes down significantly in cost, it hits a price point where businesses who were otherwise unable to afford new equipment can invest. At the same time, features that would have been considered premium a few years ago will have become more commonplace, allowing business owners to get more out of every piece of equipment they purchase. 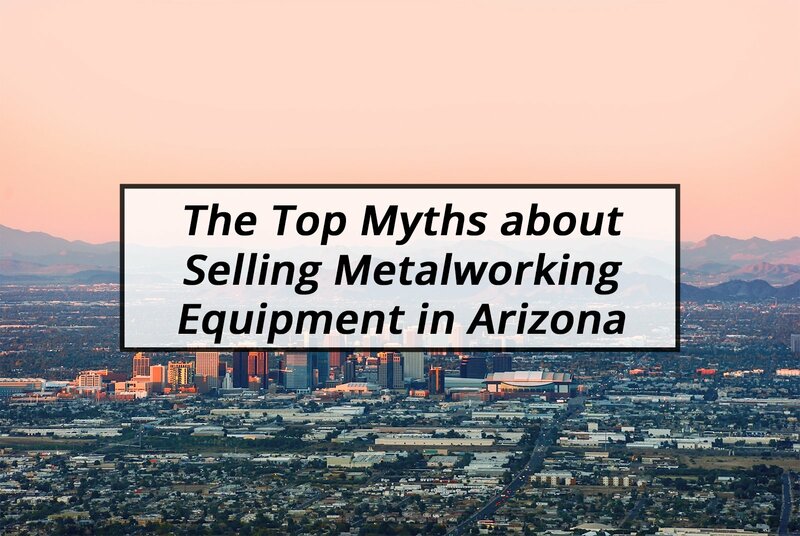 Also, businesses who would choose to purchase new equipment may find themselves under time constraints that demand immediate action, pushing these business owners into purchasing used equipment due to the dearth of metalworking machinery available on the market. 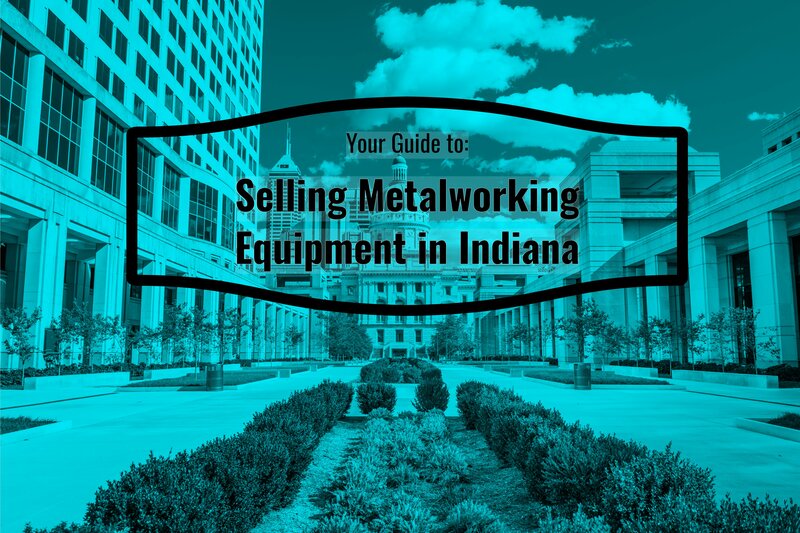 So how do you determine what type of metalworking equipment is in demand in Ohio? Part of the process involves staying on top of the news and the economy. Features that allow for automation will remain in demand for many years to decades to come, as digitization marches forward and requires a lower level of the human workforce than in the past. At the same time, digitization also demands flexibility in an enterprise, so equipment that offers this level of flexibility and agility through fast changes in machining, re-programmable opportunities, and similar adaptability will continue to remain in strong demand. At the same time, the metalworking industry will always be impacted by the strength of the other industries it serves. At current, automotive, construction and industrial metalworking sub-sectors are very strong, as are those that use additive manufacturing, analytics in their machines and predictive modeling to determine failure points in parts and systems. When you remain aware of the changes in other industries, you can adapt the metalworking machinery you're selling, and the marketing approaches you to use for industries that are entering growth trends, allowing you to take advantage of that growth to maximize your overall sales profitability. If you're looking for a way to increase or replace your income, selling used metalworking equipment can make a huge difference in your budget. Current demand is strongly outstripping the pace of production of this vital machinery, making it necessary for businesses to seek out replacement equipment in unconventional ways. 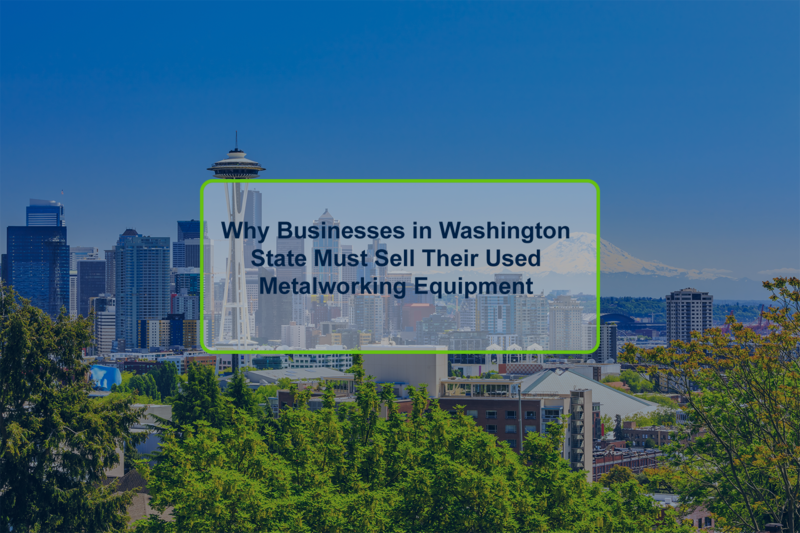 This makes the process of selling used metalworking equipment very profitable, especially for businesses who choose to take advantage of the savings in used equipment purchases. Because today's increasingly specialized industries are causing entrepreneurs and business owners to look further afield than ever before to find the right metalworking equipment for their needs, this puts you in an excellent position to market to these business professionals. When you're selling a specialized product, it's much easier to maximize your profits because you're able to reach that specific market much more effectively using digital platforms for selling your machinery. These same platforms are also making it much easier to live life on your own terms as a metalworking equipment dealer, freeing up your time, resources and energy to focus on what matters most in your life. When you're learning how to sell metalworking equipment in Ohio, there can seem to be some level of difficulty in marketing your machinery. Fortunately, the internet has made this process much easier than it has been in the past. Previously, to sell a piece of expensive metalworking equipment, you would need to know the right people and either build a strong reputation with them so that you would stay at the forefront of their minds when it's time for them to purchase equipment, pay for expensive advertising on machinery that may or may not sell or magically be in the right place at the right time. This is no longer the case. However, that doesn't mean that all online auction marketplaces are equal! If you've ever struggled to find an appropriate marketplace that meets your needs, we understand your pain. At Aucto, we provide you with immediate access to an established buyer base, making it simple to find the right buyers at the right time so that you can maximize your profits from every sale. We offer our sellers a simple-to-use platform paired with a range of marketing and sales tools. This helps ensure that your listings have the maximum possible reach. We've worked hard to make it effortless to set up and monitor your online auction listings for metalworking equipment while making it easy to reach the right sellers who are ready to buy now. Why not try setting up an account and listing a few pieces of machinery now to get started? 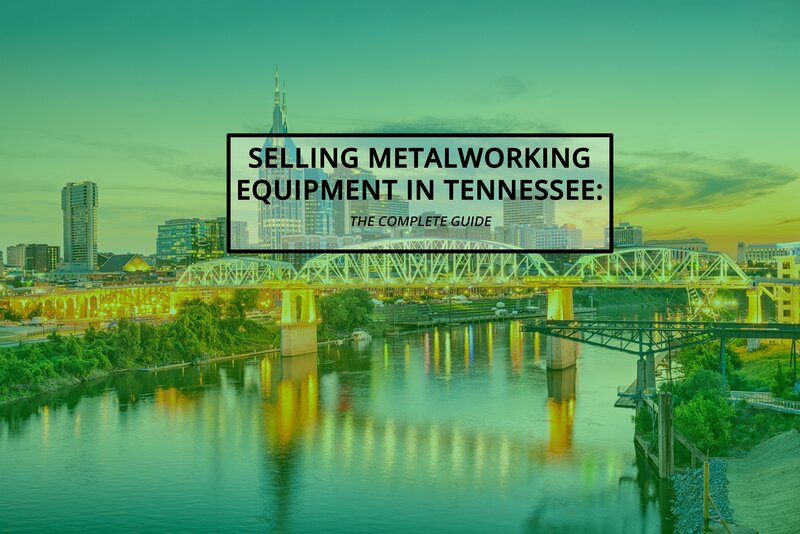 There are many factors that contribute into the success of buying and selling used metalworking equipment and machinery Ohio businesses and corporations should look to an online auction platform with a proven track record in the industry. Have question about buying used industrial equipment or selling used industrial equipment online? Give Aucto a call at 1 (844) 326-7339 or email at sellers@aucto.com, and our team of experienced online auctioneers and customer support team will be more than happy to answer them. Like this article? Check out some of our recent articles Online Auctions Are Changing The Industrial World Forever, Selling Industrial Equipment with Online Auctions, and Top 3 Marketplaces for Buying Used Industrial Equipment to learn more. Next Post: Why Are Ontario Businesses Selling Their Used Metalworking Equipment?